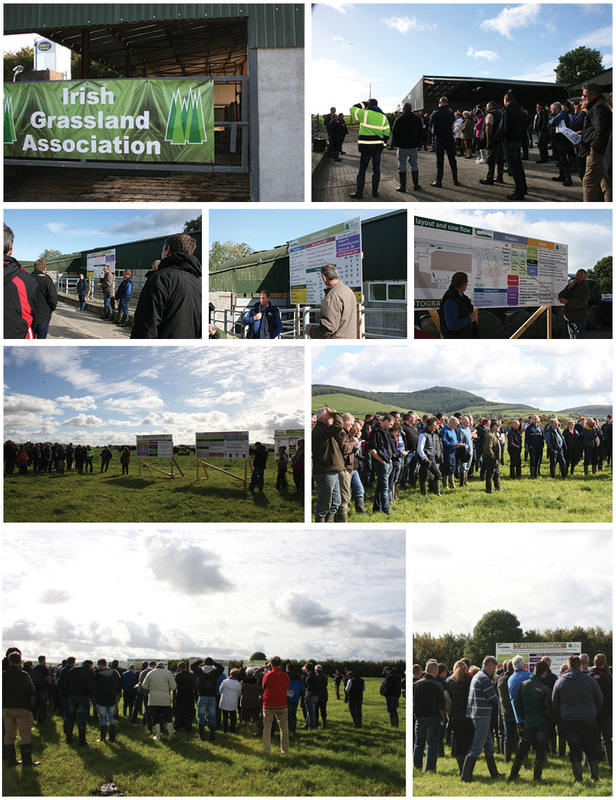 The Irish Grassland Association in conjunction with its AutoGrassMilk partner Teagasc hosted an open day on the farm of Aidan and Anne Power, Co. Tipperary on Wednesday 7th October. This event showcased the use of a robotic milking system in an intensive grazing farm. The Powers milk 95 cows through two milking robots on their 43 ha dry, hilly farm. Aidan described the importance of cow trafficability to a system like this and how allocation of grass is the engine that drives it to delegates. 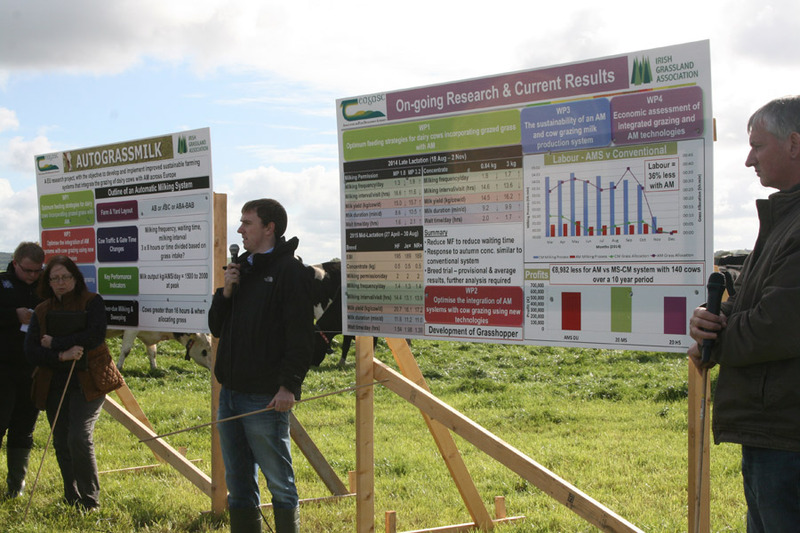 Teagasc Moorepark researchers presented some of the preliminary findings of the AutoGrassMilk research project and answered questions.